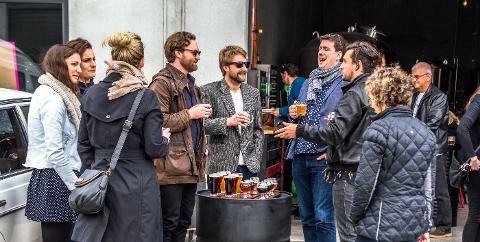 Saint John is a craft beer bar in Launceston. 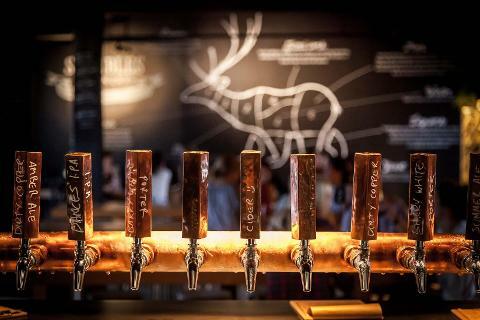 Featuring six taps of craft beer that are always changing, as well as a quality range of wines, ciders and spirits. 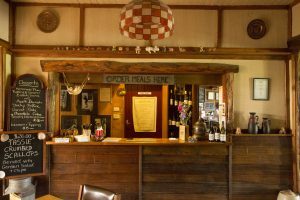 The Pub in the Paddock offers country accommodation and meals at Pyengana, north east Tasmania. 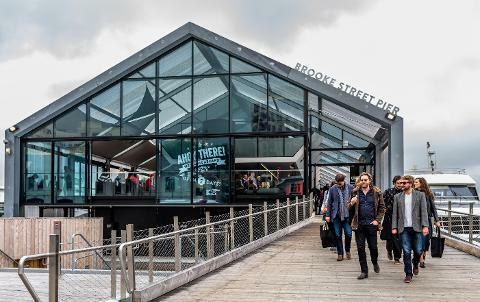 Where to drink and meet the locals. In the very beginning, Tasmania was a veiled enigma. In 1773, Captain Tobias Funeaux sailed by the island at night to witness an abundance of Aboriginal beach bonfires. It became known as the Bay of Fires after he mistakenly appraised a high population for the island. Little did he know that Tasmania was covered in thick bush, thinly settled and was nearly impenetrable to exploration. Then came the convicts. Convict probation stations were installed all over the island while prisoners were forced to build towns, roads and clear lands for agriculture under the direction of inhospitable guards. 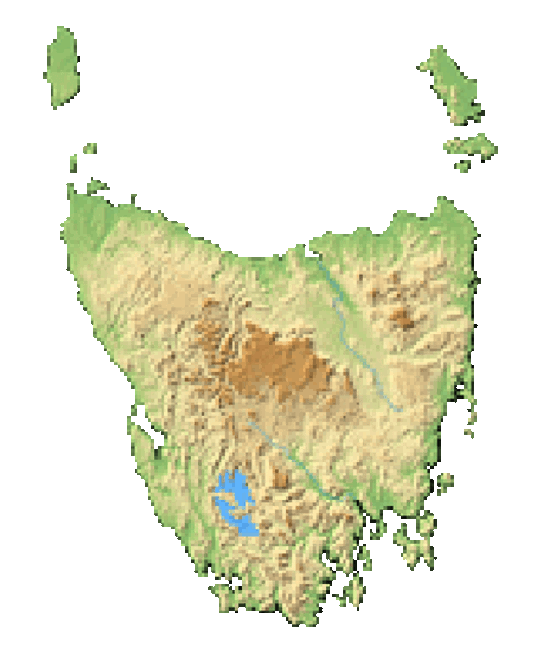 Convicts would escape to become bushrangers in the wilds of mainland Tasmania. Then the economy exploded with the discovery of precious metals and timber while whalers harvested Right Whales to near extinction. What does all of this have to do with pubs and bars? 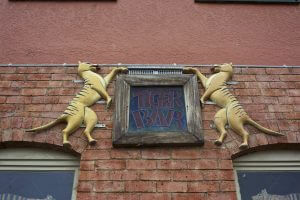 Well, to understand Tasmania's hearty pub culture, you need to understand its history. Only the bravest and most intrepid souls dared to settle in early Tasmania. Miners, prison guards, bushrangers and forresters established the early rough-and-tumble pub life. So belly up to the bar at one of Tasmania's historic pubs to imagine grabbing a pint with the thick, leathery hand of an early Tasmanian. Then literally drink in the history. Image thanks to Tourism Tasmania & Adrian Cook. The pubs of the early settlers have given way to sophisticated city bars and clubs. 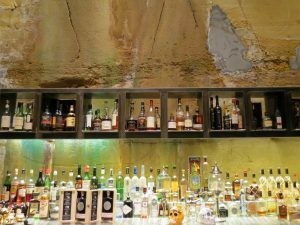 You'll find classy drinking establishments in Tasmania's biggest cities -- Hobart, Launceston and Devonport -- as well as abundant nightlife. 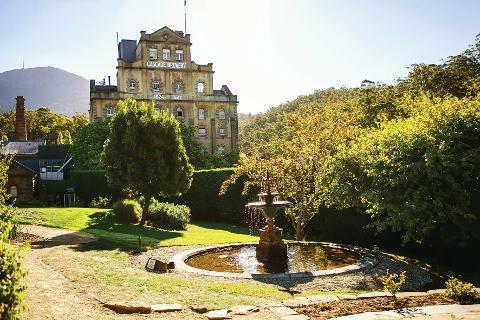 Hobart has seen a dramatic increase in restaurants, pubs, bars and clubs over the last few years, so don't listen to anybody who says that Tasmania is "quiet." Show them up with some social media nightlife pictures during your trip. 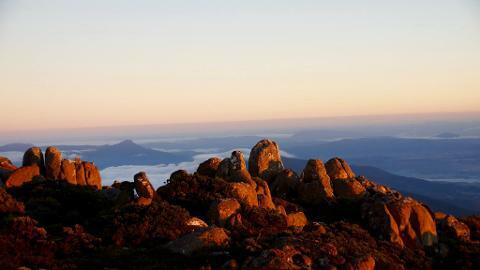 Image thanks to Tourism Tasmania & Kathryn Leahy. The craft brewer's scene has swept across the planet. 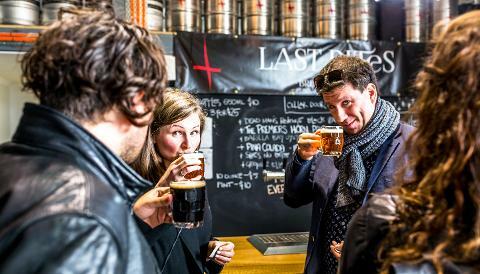 You'll find plenty of craft breweries in Tasmania's largest cities, as well as craft cider makers. 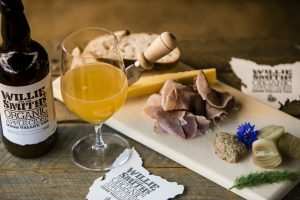 Many of the orchards for these cider makers can be found down in the Huon River Valley south of Hobart, but you can always ask for a fresh pour of one of their libations at any brewpub worth their salt. Imagethanks to Tourism Tasmania & Andrew McIntosh. 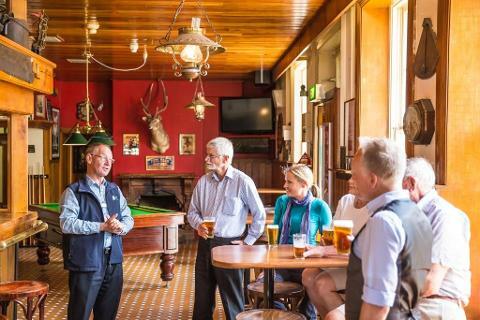 Tasmanians tell great stories, so grab a pool cue and challenge a local to a game while playing some oldies on the jukebox in a country pub. You'll make friends fast as you hear people tell their tales over a pint or two and it all makes for a wicked night out. Image thanks to Tourism Tasmania & Nick Osborne. But what most non-Aussies don't understand is that many of these pubs have their own accommodation. In fact, when you hear somebody saying the term "hotel," it usually means a pub that serves up hearty meals and offers up rooms for hire. So don't worry about drink driving and grab as many pints as you'd like while making friends, because there's a warm bed waiting for you in the country pub itself. When you hear somebody saying the term “hotel,” it usually means a pub that serves food and offer room to stay.